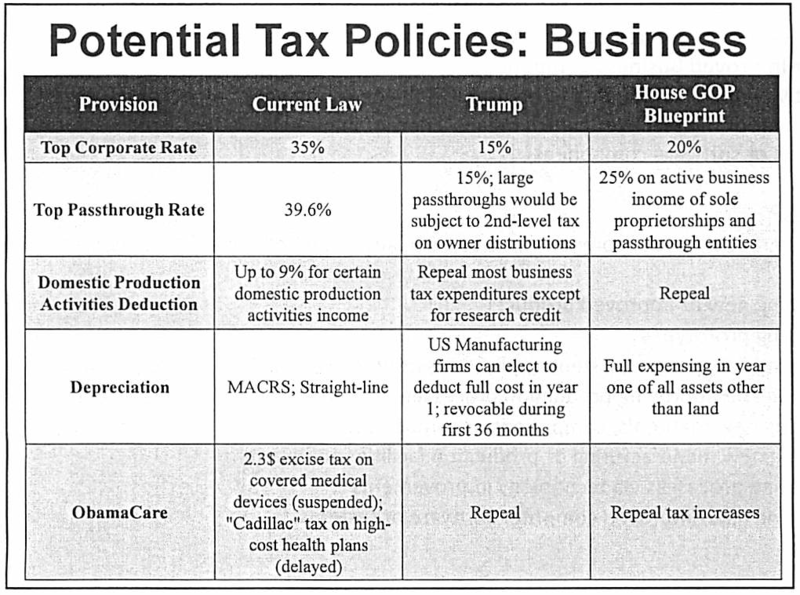 Tax Reform: Is it Possible in 2017? 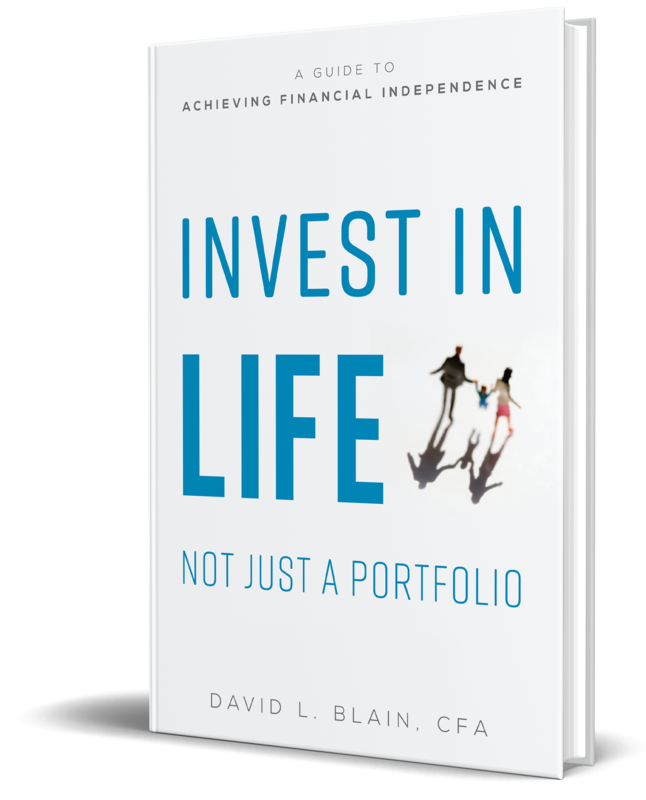 Written by, BlueSky Wealth Advisors CEO, David Blain, CFA. 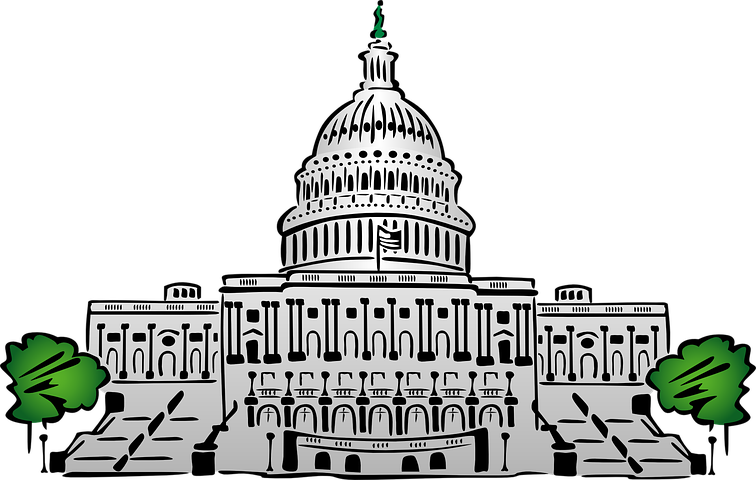 With the installation of the 45th President of the United States, Donald J. Trump, and the 115th US Congress in January, there is once again real potential for tax reform. Historically, when both Houses of Congress and the Presidency were controlled by the same party there was significant tax policy adjustment. Looking back at the last 50 years or so, we see this back and forth of tax reform played out between the parties. Under the Reagan administration, Congress passed the Economic Recovery Tax Act of 1981. The hallmark of this legislation was a 25%, across-the-board tax cut to individuals in all tax brackets. (Note: With a slowing economy, Reagan did have to backtrack on some of these cuts with the Deficit Reduction Act of 1984). Nonetheless, Congress passed another major tax reform bill, the Tax Reform Act of 1986, which again lowered individual tax rates, including dropping the highest marginal tax rate from 50% to 28%. It also lowered the corporate tax rate. In classic political gamesmanship, President Clinton and the Democratic Congress repealed some of the Reagan tax cuts with the Omnibus Budget Reconciliation Act of 1993. This Act added the 36% and 39.6% marginal tax rates for individuals, and added a 35% rate for corporations. However, with The Taxpayer Relief Act of 1997 the Clinton administration did enact the popular Child Tax credit. This credit was somewhat unusual in that it expanded the concept of refundable tax credits. A refundable credit is one where if the taxpayer doesn’t have enough income for the credit to be fully utilized, the Treasury will send them a check for the difference. By doing it this way, refundable credits essentially create a negative income tax bracket. As the new century unfolded, the US economy was in a recessionary environment, thus in 2001 George W. Bush signed into law a massive trillion dollar plus tax cut. Among other provisions, this tax legislation sent checks to families and individuals in the amount of $300 to $600, expanded the child tax credit and once again moved the top bracket down to 35%. The Bush tax cuts also provided major tax incentives for businesses. Two years later, the Bush administration continued its adjustment of the tax code by lowering taxes again with the Jobs and Growth Tax Relief Reconciliation Act of 2003. While President Obama is not known for any major tax legislation, his administration did in fact add approximately 20 new taxes to the code, mostly through the Affordable Care Act. Ostensibly a health care reform law, it added taxes in many ways, notably the 3.8% surtax on investment income and the additional Medicare payroll tax on wages. Now that Republicans control both the legislative and executive branches of the government here in 2017, we are likely to see income tax reform again. Both Congress and President Trump have publicly laid out their plans for reform and its easy to compare them. However, like all the previous attempts at tax reform, there is no consensus on the on the way to accomplish it. The competing plans do agree that the individual income tax brackets should be lowered and condensed. They would both shrink the current seven level system down to three brackets by combining the lowest two rates of 10% and 15% into a 12% bracket, combining the next two rates into a 25% bucket, and dropping the top rate to 33%. Essentially lowering the effective tax rate at all levels. Moving to the taxation of investment income, we see some changes there too. Trump is advocating for maintenance of the existing rates, but realigning them with the three new ordinary income brackets. The effect of this is that more people would pay capital gains tax at the 20% rate as opposed to the 15% rate they pay today. 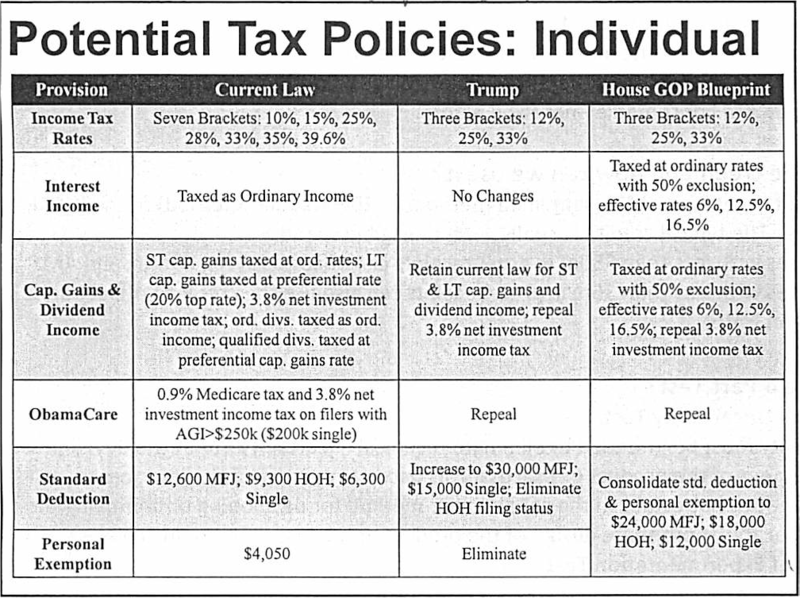 The House proposal is a bit more complex and includes a 50% exclusion for all investment income, but would tax the remainder at ordinary rates. By doing it this way, it would fix the investment income tax rate at essentially half the rate of ordinary income. Neither proposal would continue the Net Investment income tax that was enacted as part of Obama’s Affordable Care Act. Changes will likely be made to itemized deductions as well. Trump proposes a cap on total itemized deductions, whereas the House would like to eliminate all deductions except mortgage interest and charitable contributions. Both branches of government have also proposed eliminating the death tax and the dreaded outdated Alternative Minimum Tax (AMT). • Income deferral, such as contributions to a deferred compensation or qualified retirement plan, may be less attractive, especially if the football of marginal tax rates is punted higher in the future when you withdraw the funds. • Investment taxation in general will become more tax advantaged, although the proposals have enough differences it is hard to determine a specific strategy at this point. • Both proposals will probably limit the benefit of itemized deductions in some way so that personal tax deductible expenditures become less valuable in the future. Shifting these expenses to an entity or arrangement where they can be deducted fully will become more important. • Don’t let the “tax tail” wag the “investment dog”. Don’t do things just for a tax break. Do things because they make sense and have an expected return. Sure, we want to do things in a tax advantaged way but only if the investment move is prudent in the first place. • Nothing has been enacted. Just like with stocks, interest rates, or inflation, trying to speculate as to the short-term direction of tax rates is fraught with pitfalls. Especially when politicians are involved. Wait until there are actual polices before making irrevocable or hard to undo decisions. • Remain diversified in your tax strategy. Have some tax deferred money, have some Roth accounts and have some investments outside of retirement plans. While we encourage you to take the long-term view, simultaneously it’s very important that you review your tax strategy at least annually. As evidenced by the first few paragraphs of this article, tax policy changes quite often. Depending on the tax regime in place when you retire, sell a business, or cash in an investment, you can have a vastly different outcome than when you originally did your planning. I don’t often make predictions, but I’m confident in this one: Whatever the outcome of tax reform in 2017, it will be changed at some point in the future.